Handsome Ghost recently hit the road in support of their debut album, Welcome Back which was released back in January. The record takes listeners on a nostalgic stroll through the deep domain of heartache, accompanied by intimate and symphonic sounds. 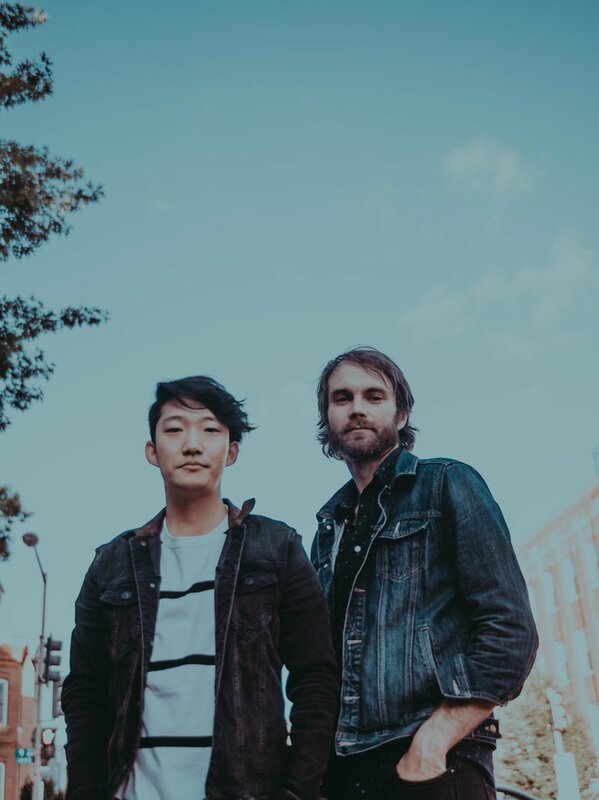 We caught up with Timothy Noyes and Eddie Byun during their DC stop to discuss how the band passes time on the road and how they manage to strike a balance between the passion vs. the pressure of making music. Capitol Sound: You’re in the middle stretch of your tour and you mentioned it’s one of the tougher periods of being on the road. What is the most challenging thing about being on tour and how do you push through it? Timothy Noyes: I think it can be challenging being on the road and if it’s one show after the other, you gotta stay focused. Once you kind of get in the groove and get used to it after a week, it begins to feel like normal life. Eddie Byun: I think the problem with a stretch like this is that when we’re not on tour, I can have a bad day. At home or when we’re in the studio we’re just dealing with each other. On the road, you’re playing a show every night, you want it to be a fun night, so you can’t carry bad feelings into the show. There’s no moment to release that energy, so that gets tough. CSDC: So how do you manage that? TN: I can tell when we’re on edge, which is pretty rare, but every tour you’re going to run into unexpected issues and stress in general. I can tell when he’s stressed out and I usually just give him some space, but it’s pretty rare that either of us are visibly angry. EB: We live together, we work together, we’re on the road together, we’re always stuck with each other so at this point we have a good feel for each other. He could probably have a good conversation with my family about how to deal with me. CSDC: What do you do in the van, what do you talk about? EB: There’s a lot of podcasts. CSDC: What’s a go-to podcast or the best podcast you’ve listened to recently? TN: I think one we discovered on the last tour is “Reply All." Unfortunately, we’re all caught up now. TN: We dig for podcasts. We sometimes play music, but because we’re playing music and talking about music, living a life that’s very music heavy, it’s kind of nice not to listen to music. We’ll do “This American Life” and “Crime Time” is a big one. EB: We get into the most boring stories of our lives because I think at this point we’ve heard all of them, we really have to dig deep for more interesting conversation. TN: When we were coming back at the end of the flor tour from LA, we we’re driving across the country and I had something happen to me, super normal stuff, and I was about to share it, but Eddie was like save it for when I’m tired and need something exciting. Whenever we have a “good story” we try to save it. CSDC: Any good stories, any good jokes? EB: Tons, but maybe they’re not that good, more so that at some point of being together, everything starts to be funny. TN: Yeah, we don’t really tell jokes, but we have weird things that we do that are funny. CSDC: It’s been a couple of months since you released “Welcome Back,” how has the reception been? TN: I think it’s been mostly positive and I think people are getting it, if that makes sense, and understand that this is what we want to sound like as opposed to some of the earlier stuff. At least for me, this tour is the first headline tour we’ve done since the album was released, so I feel like this is the best I’ve felt because people know the songs, know the words, and seem to be connected with the songs. I’m happy. EB: It’s nice that it’s been a couple months to let it breathe. To be honest, when it was first released I listened to it a lot, which I think most people are embarrassed by, but now that it’s been out for a while, I’m kind of in the headspace to start thinking about the next one. I think that’s the most exciting part and I think that’s why I’ve been trying not to listen to so much music just to be able to focus on what shifts we want to make. It’s easy to hear something in a song and be like, “Oh, that’s cool” and want to bring it into your own song, but I feel like we want the next album to feel like a progression of this one. So not necessarily a shift, but a development. So taking time to reflect on that is important. CSDC: What would make it progression of the most recent album? TN: Honestly, we have to talk about it sometime, which won’t be a problem because we have plenty of that, but I think for me, the songs that I’m writing, which I hope will be in contention with the next release, I feel really good about. I feel like the lyrics are really strong and it’s hard to be objective about your own writing, but I feel like they have a maturity about them. That’s where I think we should be right now. I don’t know exactly what it should sound like, besides the fact that I want it to sound like we’re growing, which can mean a lot of things. EB: I think we’ve been thinking separately on this topic. I think we did a lot of stuff on the first record kind of intentionally or not, which led to the sound of the album. The bass and the drums are pretty simple to let the lyrics breathe and made the songs feel like they’re in a certain space. I think playing with that and how big or small the songs get based on Tim’s voice is important. CSDC: In the short time since releasing “Welcome Back”, you’ve also put out an acoustic version of “Welcome Back” and a cover of “Maps.” Do you ever feel pressure to release music as a way to stay relevant? Is there a struggle to preserve your passion? There’s so much content being pushed out today, do you feel that pressure to produce beyond the passion? TN: I think you’re right. You can’t disappear for too long, especially now there are so many bands and so much competition, so you can’t drop off the face of the planet, but I would never release something I wasn’t excited about for the sake of it. I do think we’ll take a little breather when we get home. Hopefully our fans can kind of take a break too. I don’t think we should constantly be releasing stuff either. I know some people think that’s the right approach, where you put out a single every couple of months, but I don’t think we need to do that. EB: For “Welcome Back” we released 4 songs ahead of the release, which made it hard to make the album flow better. The transitions are kind of limited because the songs are already out, so you can’t add things to make it smooth or take parts of one song and add it to another. It’s hard to think that way because we still value the album, but it’s tough. TN: I still think we need a better strategy for that, but long-story-short, if it’s not great we won’t put it out. We do feel like we need to stay active though. CSDC: Handsome Ghost has been around for a couple years; do you feel like as you’re getting older that you struggle with capturing the same audience? TN: I don’t think we’ve had an issue with that to an impactful point. I think we moved away from some of the stylistic choices we made in the beginning. So we probably have lost some people who liked the old stuff, which is more up-beat. “Welcome Back” is not up-beat. While we probably lost some fans, I think, hopefully, we’ve picked up some new ones who can connect with it. I think as for getting older in general…are you calling us old? CSCD: I think what I’m trying to get to is the question of are you as excited about making music as you were when you started? Do you ever re-assess whether you want to do this for the rest of your life? EB: Getting older, I imagined myself having a dog at a younger age and I still don’t have a dog. As far as the music goes, as we get older we get a little bit more grounded and have a better approach. I think in previous projects I was more conscious of what other people thought, but at this point I don’t care as much, I see people more as just validating the process not driving it. TN: Musically, we’re not babies and we want to make music that you don’t have to be a baby to make. We want to make music and have it feel appropriate or mature and it fits with our experience. I think if we were straight-ahead pop music, it wouldn’t work. I think people would be like, “I don’t buy this.” I do think non-musically, there’s just normal life. Like with any job, you’re like, “Okay, here’s where I see myself. Here are the things that I want.” Music is a really, really strange way to make a living. There’s realities where I’m like, “I’ve been in a van all day.” If you don’t love it, it’s definitely not worth doing. I still love it, until the van breaks down, and I’ll hate it. All photos shot by Cina Nguyen for Capitol Sound DC. Keep up with Handsome Ghost at the links below.